Isuzu brought its D-Max V-Cross based MU-X SUV to India in 2017. It replaced the MU7 SUV which was showing its age and not performing well in our market. Compared to it, MU-X was much more modern and undercut its rivals quite a bit in terms of pricing. This made it an interesting proposition and garnered a lot of interest here. The car we get in India today is not the latest model and a facelifted version is already on sale in the International markets like Thailand. With this launch, the new model will reach our shores finally. Mostly, we will get the version identical to the Thai one. 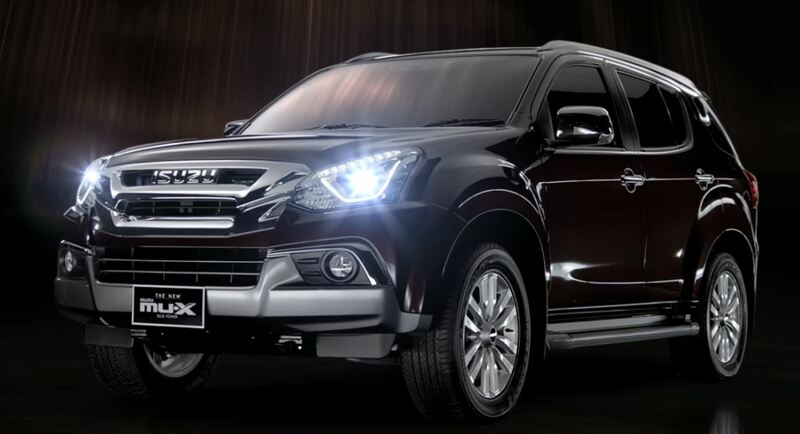 MU-X is based on the D-Max pickup truck which was a result of collaboration between GM and Isuzu. GM’s Trailblazer is one other car based on this platform and this is the reason there is a lot of commonality between MU-X and Trailblazer. As GM cars are no more available in our market, Trailblazer is in no way coming to us. First up, the front grille on the car will be completely new and enhances its butch look further. The projector headlight units will also be new and now, house the LED DRLs in them as well. The car will feature a slightly redesigned bumper with chrome surrounds on the fog lamp housings. On the rear, the tail lights will get some LED elements too and the bumper will feature a new design. The alloy wheels will also feature a new design on the facelifted car. 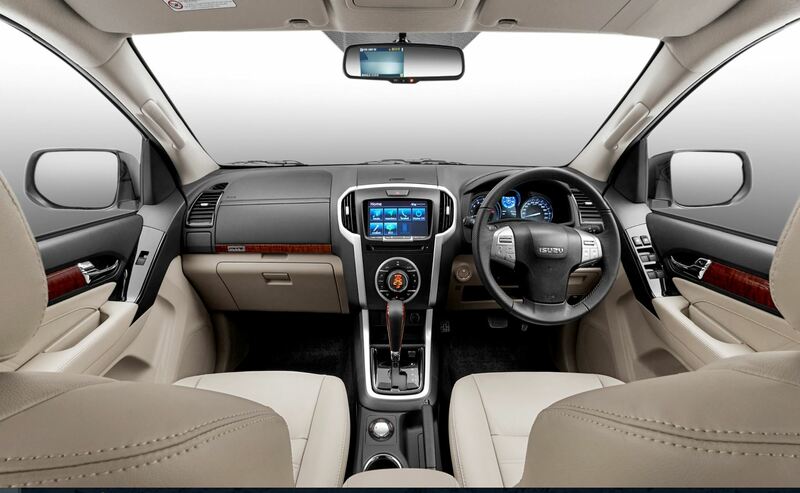 On the inside, the car will now be offered with a dual tone beige and black colour theme. The dashboard and doors will get wood trim inserts to give the cabin a more rich feel. The center console will be surrounded by a silver insert which will continue and surround the gear stick housing too. The Thai version of the car also gets an updated infotainment system, we need to see if Isuzu brings it to our market or not. The facelifted MU-X will continue to be offered with the same engine and transmission as the current version. It will come powered by a 3L, 4 cylinder diesel motor which produces 177PS power and 380NM torque. The engine comes mated to a 5-speed torque converter automatic gearbox. Though there is a 1.9L engine also on offer internationally, there is no news of it coming to India anytime soon. Once launched, the main competition for the facelifted MU-X in India will be the Toyota Fortuner, Ford Endeavor, new Honda CRV and Skoda Kodiaq, among others.